Spotify is a music streaming service that comes with a client which supports Microsoft Windows, Mac OS X, Linux as well as mobile devices such as iOS, Android, BlackBerry, Windows Mobile, Windows Phone, S60 (Symbian), webOS and more. The service is only available in a few countries for now, such as USA, UK, Spain, Sweden and more - check out the Spotify website for more info. 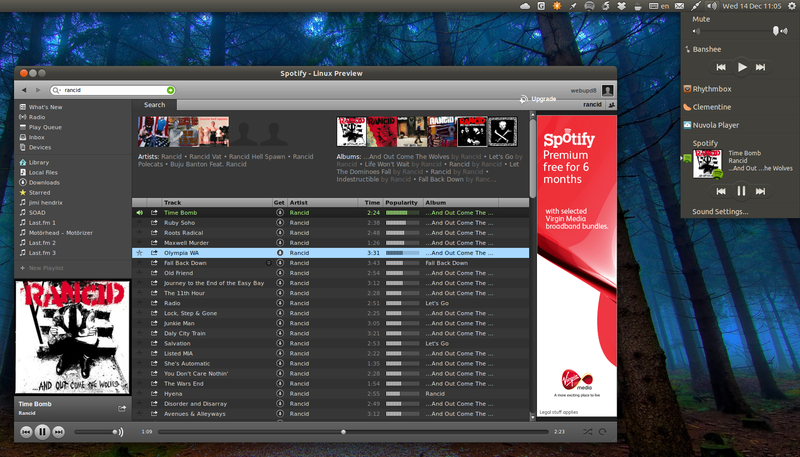 The (official) native Spotify Linux client got support for free accounts recently. Here is how to install it on Ubuntu and fix some bugs such as not being able to play local music in Ubuntu. Update: the instructions below should work with Ubuntu 14.04, 13.10, 13.04, 12.10 and 12.04. 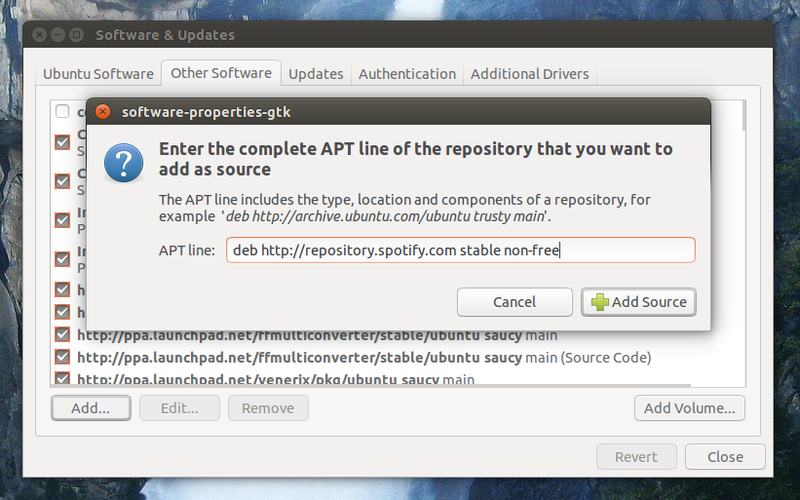 Please note that Spotify for Linux is a preview release and is currently unsupported so you may encounter issues! 1. Launch Software & Updates (called Software Sources in older Ubuntu version) from the menu / Dash. from the same "Other Software" tab. Once you're done, close the Software & Updates window. That's it! I also recommend using the Spotify Ambiance theme we've covered on WebUpd8, which makes the application integrate better with the Ubuntu desktop (for both the application and its tray icon). via PinguyOS forum; thanks to Antoni "Pinguy" for the tip!